Yuppers !!! RT @debbgould: @Dawn_Wentling @change AWESOME!!! 14 Oct 11 copy & paste +upvote -downvote Yuppers !!! RT @debbgould: @Dawn_Wentling @change AWESOME!!! RT @_CoolasAfan_: Thank you lord for waking me up this morning ! 14 Oct 11 copy & paste +upvote -downvote RT @_CoolasAfan_: Thank you lord for waking me up this morning   ! We're going for my girl @MahallKitaa birthdayyy, hmu if you can go! @OliviaaaHart did ya have fun leaving me at school? 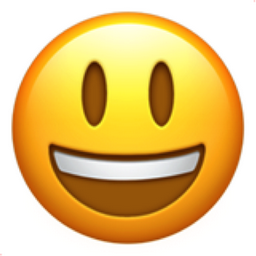 Like Smiling Face with Open Mouth Chronological Emojitweets 19?